Do you have bats in your attic? Call Tri-State Wildlife Management today at (859) 635-0037, and have the professionals take care of your bat problem! Bat Removal Florence, KY (41042): Bats become a nuisance when they roost in large numbers in houses and businesses. Despite their usefulness, discovering or even suspecting bats living in your home or business is unsettling. 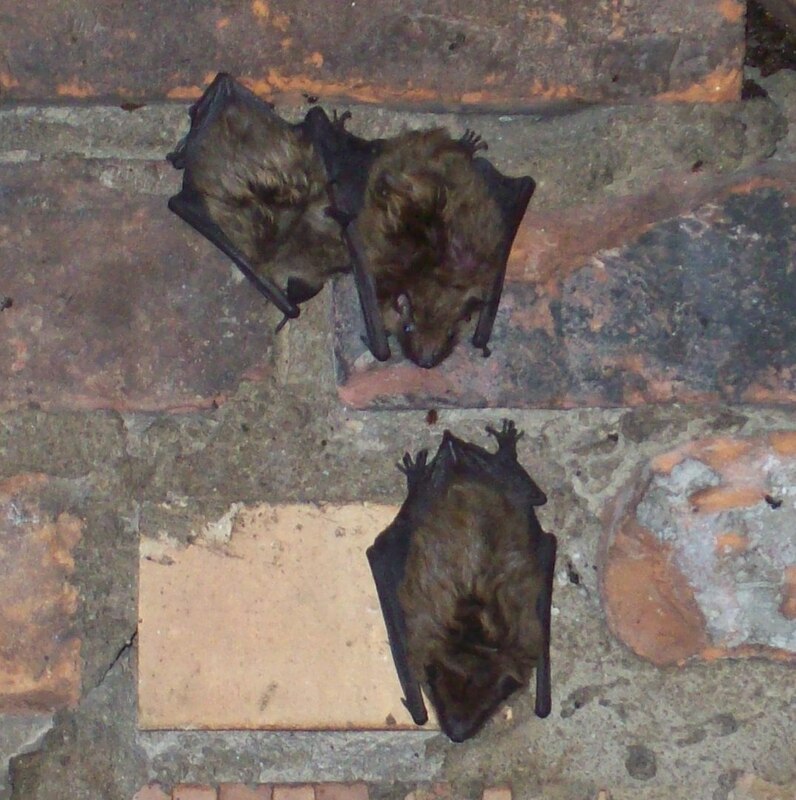 Due to the breeding and roosting habits of bats, timing the removal of a bat colony is crucial to both the success of the exclusion as well as its legality and therefore best left to the experts. Tri-State Wildlife Management’s technicians are thoroughly trained in bat eviction/venting procedures and educate their customers regarding the best solution to rid their property of a bat invasion. The process starts with a meticulous inspection of the property designed to identify structural defects, as well as current and potential bat entry points that lead into the interiors of the structure. The inspection is intended to assist in the evaluation of the overall bat colony within the condition of the building. 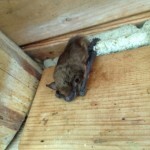 For a professional bat removal company serving Florence, KY, call Tri-State Wildlife Management! Put our experience and expertise to work for you! Got Bats? Call TSWM and we’ll resolve your bat issue for you! The courteous staff at Tri-State Wildlife Management (TSWM) will work for you to provide a cost effective solution to your bat or wildlife intrusion and/or damage issue. As a full service company, we will initiate an Integrated Management Plan beginning with an inspection and customer education followed by bat removal and exclusion of intrusive bats or wildlife, clean-up, repair/restoration and prevention. Early fall is a busy time for Tri-State Wildlife Management, as we continue to remove bats from homes and make repairs to exclude them for good! Resolving a bat issue in a home or structure is time sensitive work. TSWM does not remove bats by trapping them; instead, our techniques allow bats to exit your attic while prohibiting reentry. By the time all bats have left your attic, TSWM finishes sealing up your home to prevent bat access. In order to make your entire home as bat-deterrent as possible, TSWM must finish all sealing before cold weather sets in. Once bats begin hibernating in your attic this winter, final repair work must be put on hold until spring when hibernation has ended. Of course it is best to complete the exclusion process now so bats cannot use your attic as their hibernating roost site. Some of the telltale signs that you have a bat problem include dark marks near their entry point and bat guano below an entry point. You may also see bats leaving their roost at dusk to feed on flying insects. Bats can often go undetected by property owners and residents, so it may be years before you realize you have a bat problem. At that point, you may be dealing with generations of bats that often use the same roost year after year. In some of the worst cases, you may smell bat latrines (pile of guano and urine) from a living area, or notice a stain on the ceiling or wall. In addition to removal/exclusion services, Tri-State Wildlife Management (TSWM) also offers full and partial attic cleanouts. TSWM employees are trained in safe and effective methods of removing bat guano and contaminated insulation. Due to the risk of exposure to diseases such as histoplasmosis, proper protective gear and equipment is vital to a safe and effective cleanout. Bats pose health/hygiene concerns including bat bugs, rabies, and histoplasmosis. Although bat bugs pose no serious health threat, just like bed bugs, they are a parasitic nuisance that nobody wants to live with. When bats transmit rabies, it is most typically through a bite. If bitten, the bat should always be tested if it can be caught. If the bat is not caught, or if it tests positive for rabies, rabies shots must be taken. Without treatment, rabies ends in death. Sometimes a bat is found in the living space of a home. If the bat had access to children or anyone who may not know/may not be able to communicate that they’ve been bitten, rabies shots are encouraged. Although the most serious, rabies is not the most common threat that bats pose. Histoplasmosis is a common lung disease caused by a fungus that grows on guano. Again, it is important to always wear the proper protective gear when in the same vicinity as bat guano, as the fungus is easily disturbed. We strive for the most humane and environmentally effective techniques for dealing with bats and wildlife problems. Tri-State Wildlife Management’s use of modern innovative methods provides sound wildlife management services to ensure the protection of our customers’ investments and health. TSWM is fully licensed and insured, and we stand behind all our work. Posted in Bats | Comments Off on Got Bats? Call TSWM and we’ll resolve your bat issue for you! Do you have bats in your attic? Now is a great time of year to take care of your bat problem, and Tri-State Wildlife Management is THE company to hire to remove bats in Northern Kentucky. Call us today at 859-635-0037. Bats are useful mammals to have around, as they are a great, natural way to control flying insects such as mosquitoes. More and more people are setting up bat houses in their yard to encourage bats to feed on mosquitoes which carry a variety of viruses harmful to humans (including zika virus and malaria). The good of having bats around is outweighed by the bad if they decide to roost in your attic. Bats are more likely to enter the living space of your home if they are roosting in your attic. As they are prominent carriers of rabies, this is a problem that should be addressed. If there is any chance at all that a bat bit someone, precautions must be taken. If the bat is caught without damage to its head, it can be tested for rabies. If it is not caught, then rabies shots must be administered in case rabies is contracted. After rabies symptoms appear, it is too late for the shots to work. Bats also create latrines at their roost site which can cause histoplasmosis in humans. In order to prevent these unsanitary, unsafe conditions, bat should be permanently removed and excluded. Tri-State Wildlife Management (TSWM) specializes in bat removal and exclusion in the Northern Kentucky area. Many homes and buildings are susceptible to bat entry, as bats can squeeze through a hole smaller than a dime. For this same reason, it is very difficult to permanently exclude them from your residence or business. 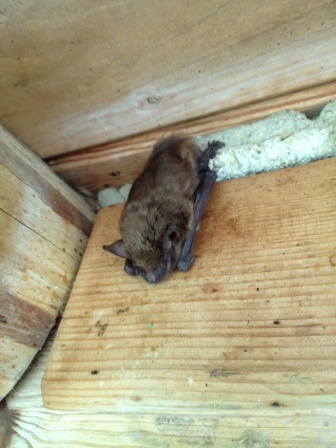 TSWM has the experience and expertise to rid your home of bats for good. Technicians inspect your entire home to identify entries as well as vulnerable areas. Our goal is to ensure bats will never again gain access into your home to roost, so we are sure to do a thorough job of repairing entries and securing at risk areas. Our work is not only effective, but it is also aesthetically pleasing. We take pride in our ability to permanently exclude bats while maintaining (or improving) the beauty of a home. Materials used are of highest quality, able to withstand not only weather and the elements, but also attempted wild animal entry. Materials used by construction and roofing companies do not take wild animal entry into account. The difference could mean thousands of dollars spent in future wildlife removal and repair. Some of the telltale signs that you have a bat problem include dark marks near their entry point and bat guano below an entry point. You may also see bats leaving their roost at dusk to feed on flying insects. Bats can often go undetected by property owners and residents, so it may be years before you realize you have a bat problem. At that point, you may be dealing with generations of bats that often use the same roost year after year. In some of the worst cases, you may smell bat latrines (pile of guano and urine) from a living area, or notice a stain on the ceiling or wall. Bat waste can cause histoplasmosis in humans, so safe cleanup procedures and material should always be used. Tri-State Wildlife Management specializes in bat removal and exclusion from houses, multi-unit buildings, and businesses. Put our experience and expertise to work for you! Florence, KY Bat Removal and Exclusion: Tri-State Wildlife Management offers bat removal in Ohio, northern Kentucky, and southeast Indiana. We offer full service exclusions and repairs to ensure that the bats are gone for good. TSWM also offers full attic cleanups after bats are removed and excluded.